Most people involved in the construction industry, whether it is the owner or contractor, have accepted the reality that projects go over budget and get delayed. That’s why there is a contingency budget. Accepting that reality is a big reason why the industry is in a state of chronic pain when it comes to project management. Project management in construction is a difficult thing, but it can be much better. Owners are mostly interested in getting the work done on time - and not spending a lot more than planned. Every other party is merely interested in getting their part of the work done and getting paid for it. At times those interests are at odds, resulting in budget overruns and costly delays. In addition, often times there are conflicting and competing interests between architects, construction managers, subcontractors and owners, where if someone is dropping the ball and causing delays, there is no accountability short of filing litigious claims, likely destroying the project irrevocably. This is especially true because of the sheer cost escalation that occurs on a project. The result - everyone hopes for the best and continues to do so until it is too late. Is Anyone Interested in a Fix for This Problem? All parties benefit from a much smoother process. When relationships between parties, often in a large project involving many different teams, go south, it is hard to rebuild that trust. In fact, the bigger the project, the more likely it is to end in litigation. Communication among parties is crucial along with a dedication to staying on track. Managing projects with multiple parties requires a schedule that all agree to adhere to with a central point of responsibility, a scheduler for example, on the project to track progress and make sure that the schedule is being followed. 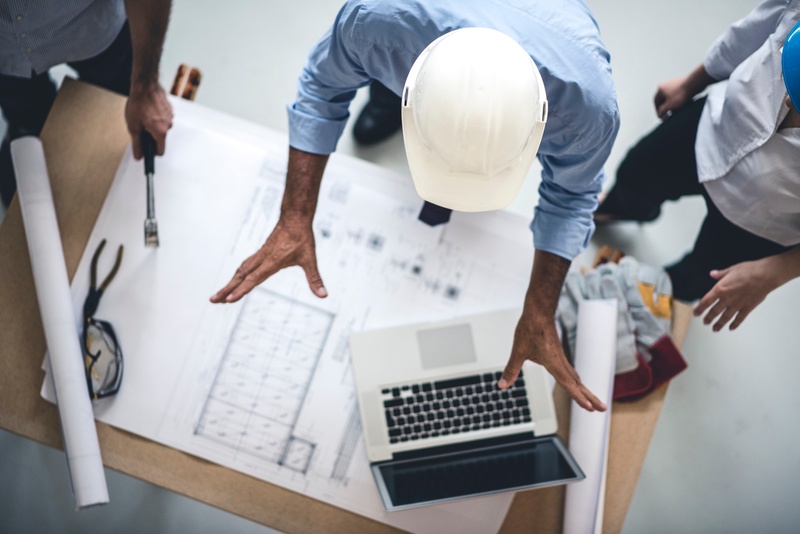 Despite the chronic pain for the construction industry when it comes to project management, there are many solutions to eliminate a lot of these headaches. For one, technology is automating many of the functions of the scheduler, producing much more successful projects – but the role of the scheduler still matters. Managing a large construction project can be made much easier through the use of technology. The industry has become so averse to using schedulers or even sticking to a CPM schedule that it has created a blind spot that technology can fix. Construction professionals, even the ones that loathe the idea of sharing their CPM schedules, know that having an accurate one is a good thing. Technology has the ability to record information in real-time and with detailed accuracy that all parties can put stock in, leading to more cooperation and input from all parties. For years, the role of the scheduler and the use of CPM schedules have diminished greatly for many reasons but accuracy may be the number one reason. With technology, everyone involved in a construction project can rely on accurate timetables and real-time updates in a way that can help make project management much easier. SmartPM is a fully automated construction project intelligence solution that analyzes every bit of data embedded in the schedule. It picks up where regular PM software ends. Schedule a demo with us today and learn how we can help you take your business to the next level.